The Sheriff Al Cannon Detention Center was originally built in 1966. There have been three expansions. The first expansion was a four story addition completed in 1994, raising the inmate capacity to 661. The second expansion, was adding the two modular units in 2001 raising the inmate capacity to 789. The third expansion completed in May, 2010 increased the inmate population to 1,917. Our current facility consists of five buildings. The original building, Tower A includes the Training Division, Training Room, staff gym and showers, Inmate Library, Environmental/Logistics, eight inmate housing units, and two modular units. The expansion Towers B and C include administrative offices, conference rooms, a state of the art control center, kitchen, laundry, staff dining, medical department, lobby, visitation area, twenty-one direct supervision units and an infirmary. The fourth building is our work camp facility which is located on the same campus. The fifth building is our Juvenile Detention Facility and is located nearby off campus. The Detention Center is closely monitored by over 700 cameras in the “nerve center” known as Central Control to ensure the safety and security of the facility, staff, and inmates. The Facility’s main entrance requires contracted employees and visitors to pass through a metal detector and all bags are scanned to ensure no contraband is being brought into the facility. 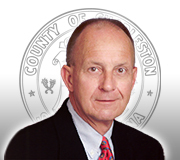 The mission of the Sheriff Al Cannon Detention Center is to serve and protect the Citizens of Charleston County by maintaining secure jail operations and facilities, while preserving the rights and dignity of all who are incarcerated.